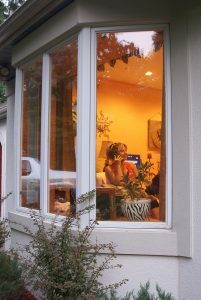 The windows at your home play a major role in the overall function of your residence. If they’re outdated, they can decrease your home’s curb appeal or energy efficiency. If they’re hard to clean, they may be a constant headache to deal with. This is why homeowners looking for new replacement window products in the Crestview, Florida, area turn to Majors Home Improvement, a professional window installation company that has been serving customers since 1997. Our windows resist common damage, such as rusting, warping, peeling, corroding, blistering, cracking, and fading, to ensure they remain looking like new for years into the future. Florida homeowners know that energy-efficient windows are crucial in this climate. Our windows are composed with insulated glass, multiple air chambers, and welded frames and sashes to lessen the amount of heat transfer and ensure you won’t have to run your air conditioner as heavily during the summer months. At Majors, we want the windows you choose to perfectly complement your design tastes. Our windows are available in all of the most popular styles, such as double hung, single hung, slider, casement, and bay, among others. They can also be customized with frame colors, interior wood-grain finishes, hardware options, and grid and glass designs. What’s more, when you trust Majors with your replacement window installation, you can count on outstanding service from beginning to end. We’ll start the project with a complimentary consultation that won’t be a pushy sales presentation, but rather an educated discussion about your options. Then, your new windows will be expertly installed by our team of trained technicians. So, when you want new replacement window products for your home in Crestview, FL, Let Majors Do It. Give us a call today to schedule your complimentary consultation.